The thesis consists of an investigation of what is to be tested with FAT (Factory Acceptance Test) and SAT (Site Acceptance Test), and also how to do the testing. The result of this investigation is a basic template of how these documents can be designed. This Bachelor’s thesis was commissioned by ABB Power Generation, located in Vaasa. The department designs and commissions automation and electrical systems for gas, diesel, nuclear and hydropower plants. 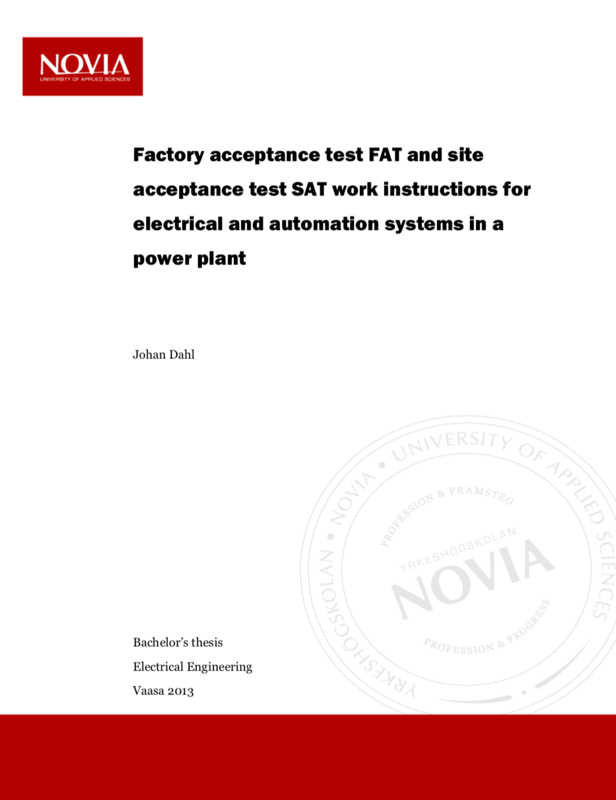 Currently there is a great variation in FAT (Factory Acceptance Test) and SAT (Site Acceptance Test) work instructions depending on who performs these tests. My goal with this thesis work has been to get standard FAT and SAT templates and the company’s goal is to get everyone to use the same templates. The template applies mainly to system testing for hydropower plants, but can easily be modified for other plant types, since the system parts and functions designed by ABB do not differ that much between the plant types. Factory Acceptance Tests are done at the factory to make sure that certain requirements are met, which results in high quality products. The tests are normally done with the customer, and also, in certain more demanding cases, with a third party inspection agency. Although all cabins should be fault-free when they arrive from the subcontractors that assemble them, faults sometimes occur. Therefore these factory acceptance tests are needed. At a FAT, installations are double checked so that they match the drawings for the specific project. Functions that should work when cabins are installed at site are also simulated to check the automation functionality. All possible faults, deviations and wishes are also noted. Site Acceptance Tests are done at the specific places where commissioning is done. 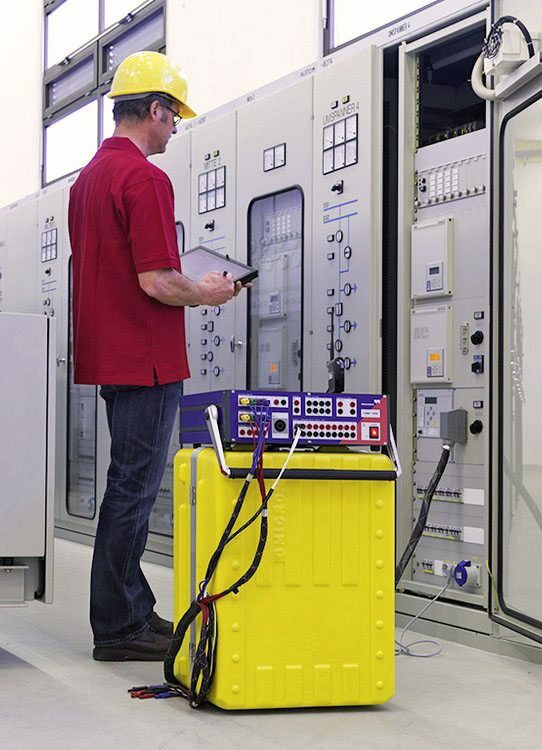 These tests are also done to make sure that certain requirements and a high quality are met amongst ABB’s projects and to offer customers quality testing and documents. The results of the SAT are noted in the test protocols and then signed by both the customer and the commissioner. Normally the same test procedures as at FAT are followed, plus procedures that cannot be done at FAT. E.g. breaker control is excluded from FAT but done at SAT. 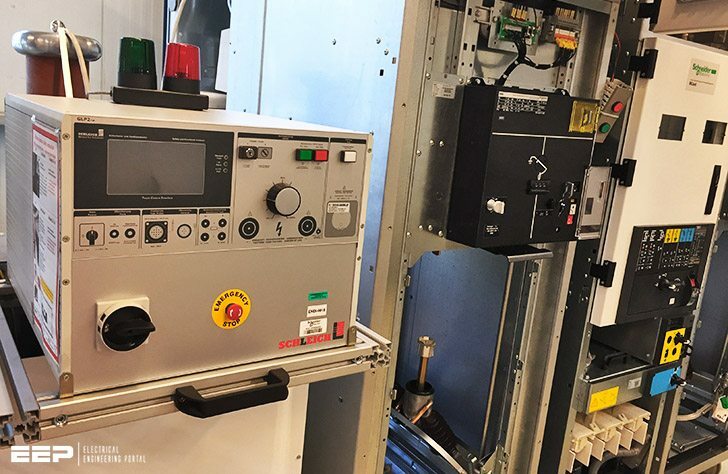 The protection relays are tested at FAT and SAT with Omicron CMC 356 plus “High precision relay test set and universal calibrator” as seen in the above photo. Omicrons high accuracy and flexibility make it ideal for testing and measuring. With Omicron Control Center you can create automatically generated relay specific test reports. These automatically generated test reports are often too long to have people reading through them in detail, thus besides Omicron’s automatically generated test reports, a checklist containing the most vital data is also brought to the FAT or SAT. Omicron is connected to the protection relays, and a computer is then connected to the Omicron and tested with the omicron control center (OCC).